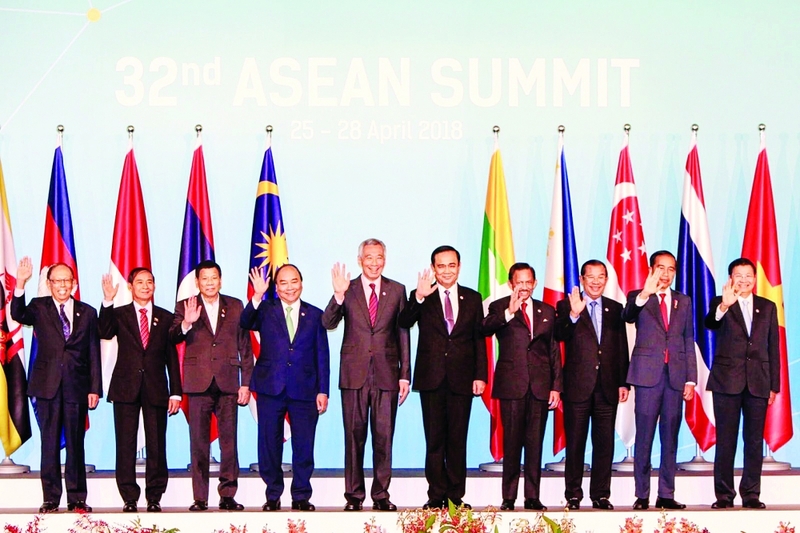 (VEN) - The 10-nation Association of Southeast Asian Nations (ASEAN) marks its 51st anniversary this month, with a record of strong growth and major positive impact on the global economy. Vietnam has contributed greatly to ASEAN’s development and achievements. Established on August 8, 1967, the 630-million-people ASEAN community has a predominantly young population. ASEAN members have become pioneers in development, and they are facilitating industrialization, urbanization, technology application, and education development. Vietnam is one of the most active members of ASEAN, which has become its second largest trade partner, with an average annual growth of 14.5 percent over the past decade. ASEAN is Vietnam’s third largest market and a major supplier of goods for Vietnamese enterprises. Vietnam-ASEAN trade hit US$28.45 billion in the first half of 2018, including US$12.65 billion worth of Vietnamese exports and US15.8 billion worth of ASEAN exports. ASEAN is an important foreign investor in Vietnam, with eight of the 10 member states (including Singapore, Malaysia, Thailand, Brunei, Indonesia, the Philippines, Laos and Cambodia) investing in 2,629 projects totaling US$54.6 billion in registered capital. These account for 14.2 percent of all foreign direct investment (FDI) projects and 21.7 percent of foreign registered investment capital in Vietnam. Processing and manufacturing industries are the biggest attractors of ASEAN investment, with 1,009 projects totaling US$22.2 billion in registered capital, accounting for 38 percent of all FDI projects and 40.8 percent of the total foreign registered investment capital in the country. Speaking at a recent ASEAN Foreign Ministers Meeting in Singapore, Singaporean Prime Minister Lee Hsien Loong said diversifying membership, promoting economic cooperation, facilitating relations with partners and forming forums and dialogues have all contributed significantly to an open, inclusive and rule-based regional structure and to peace, security and stability in the ASEAN community. In the context of new challenges associated with rapid and unpredictable changes in the region and the world, Prime Minister Lee Hsien Loong emphasized two key focus issues for ASEAN – regional economic connectivity and application of new technology for development. While the fourth industrial revolution or Industry 4.0 is generating a strong technological development trend, ASEAN needs to step up its new technology application efforts and promote digital connectivity and creative development, said Prime Minister Lee Hsien Loong. Vietnamese Deputy Foreign Minister Nguyen Quoc Dung noted that his country is scheduled to assume the ASEAN presidency in 2020, after Singapore and Thailand. Vietnam has a solid foundation in ASEAN and will try its best to succeed in the 2020 ASEAN presidency in order to bring ASEAN to new heights and improve Vietnam’s position, Dung said.